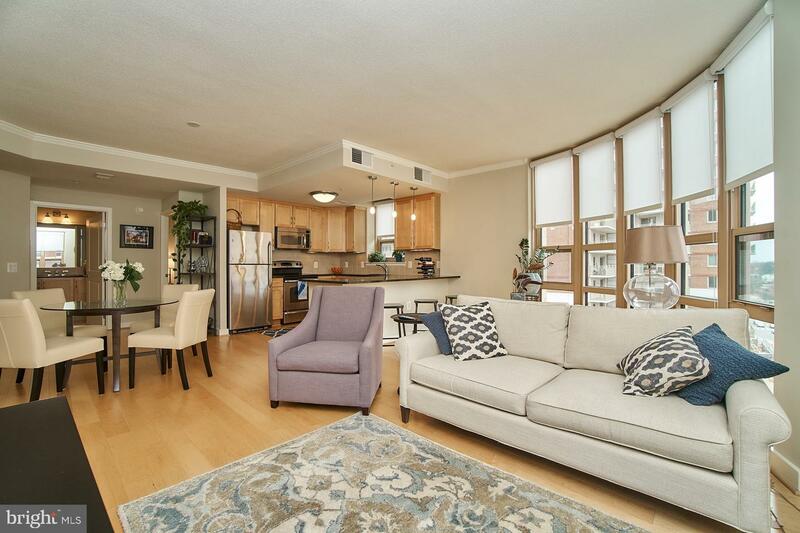 8th floor corner unit with floor to ceiling curved wall of windows. 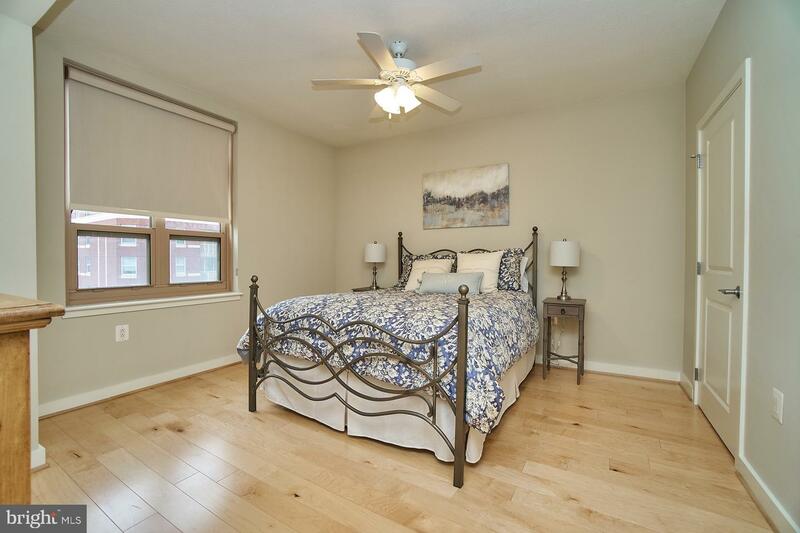 Hardwood floors throughout the 1147 sqft unit. 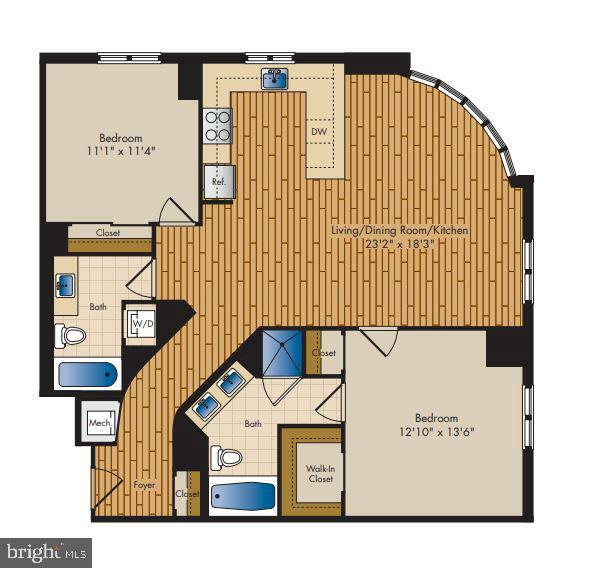 Open concept floor plan with spacious kitchen with window over the sink, stainless steel appliances and large Granite countertop with room for bar stools. 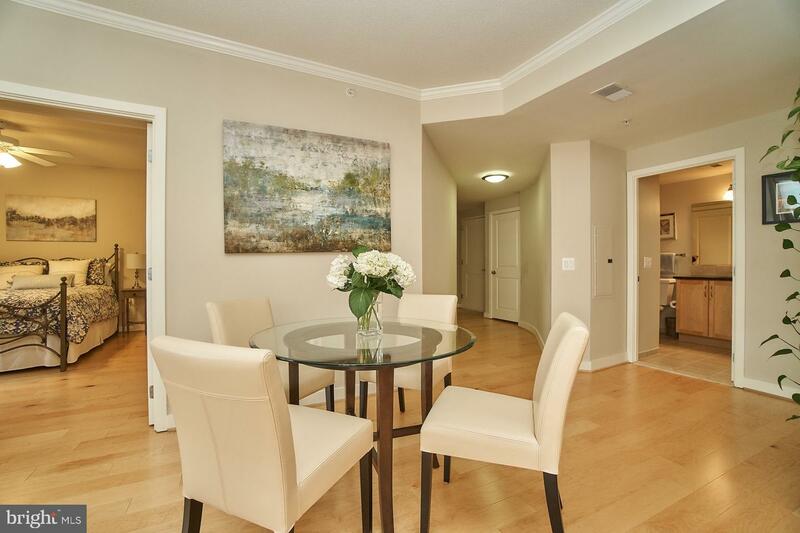 Open to the living room and dining area. 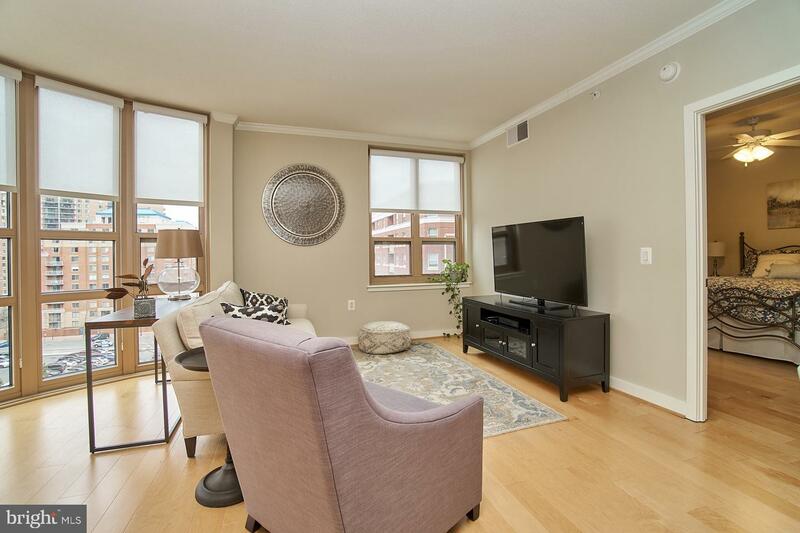 Crown molding accents the living room. 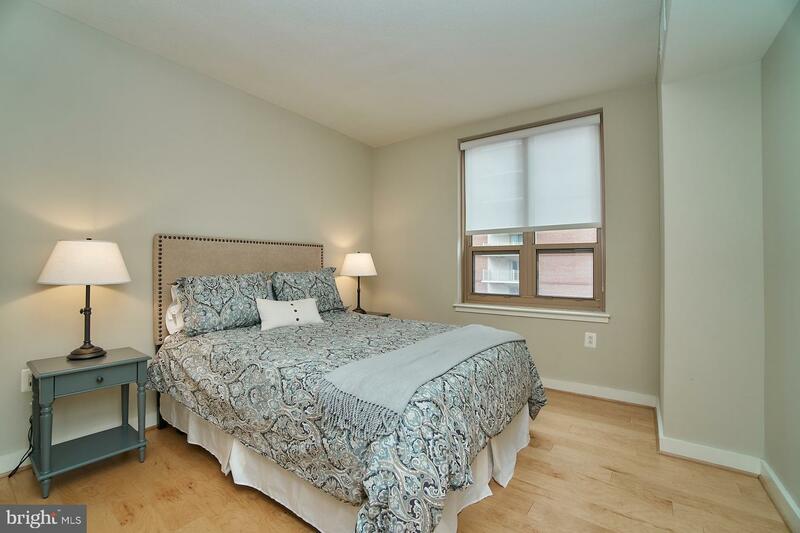 Bedrooms are separated by the living space. 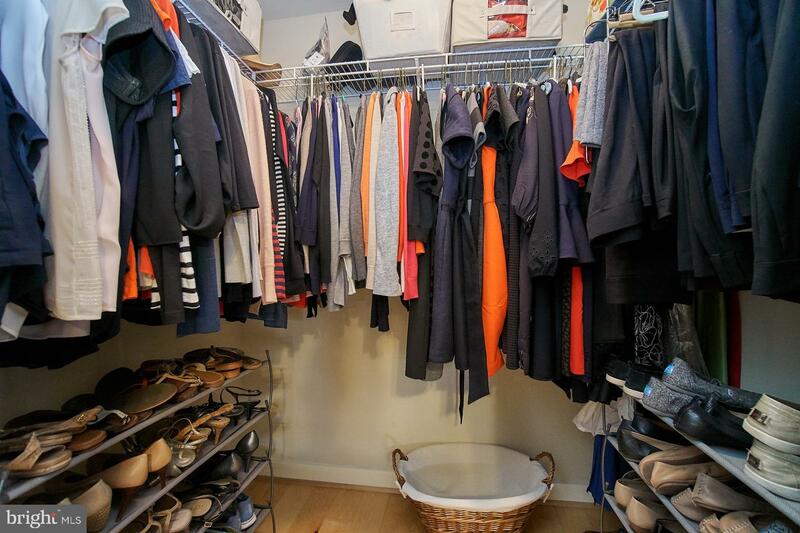 Large master bedroom has 2 closets, one of which is a walk in. 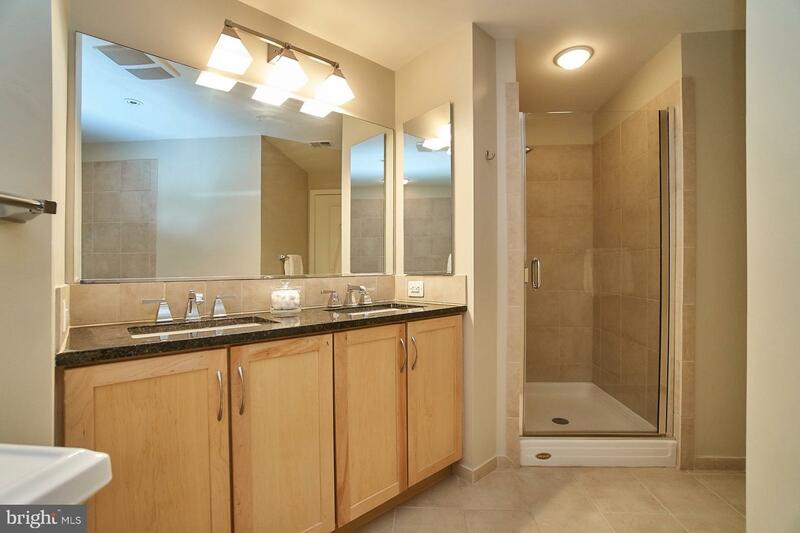 Master bath has a separate shower, soaking tub, and double sinks. 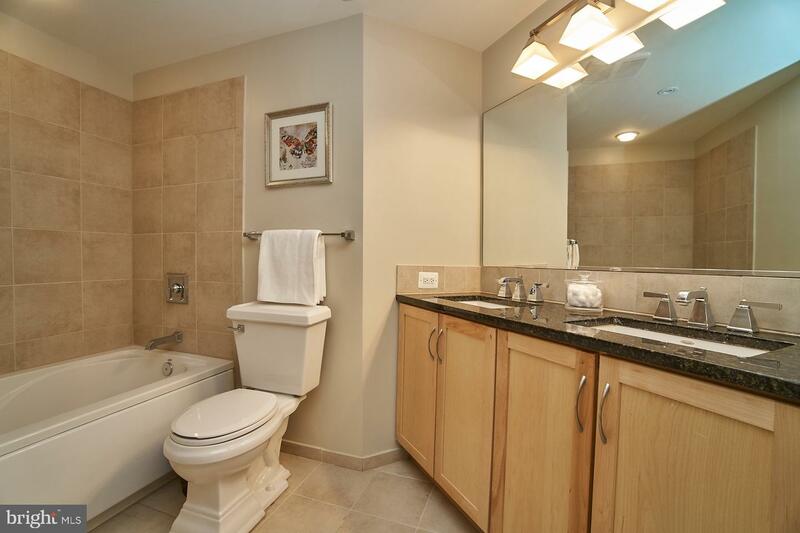 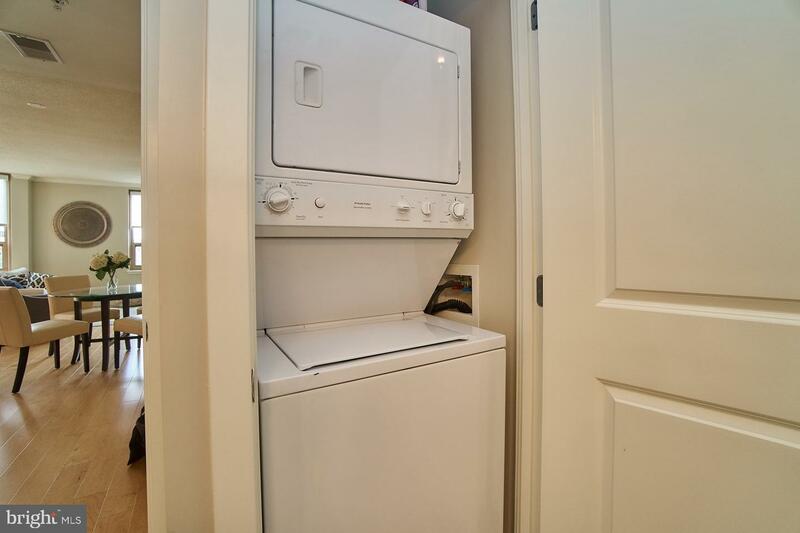 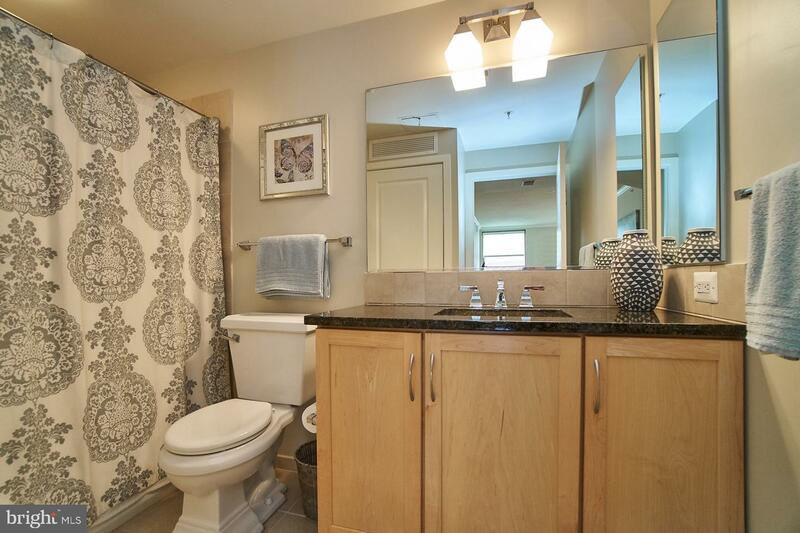 Both bathroom have Granite tops, raised vanities, and tile floors. 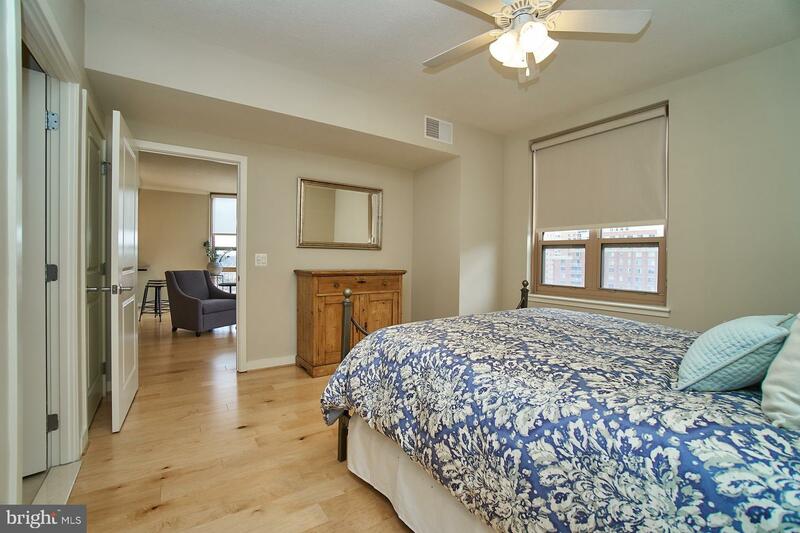 2nd bedroom has mirrored closet doors. 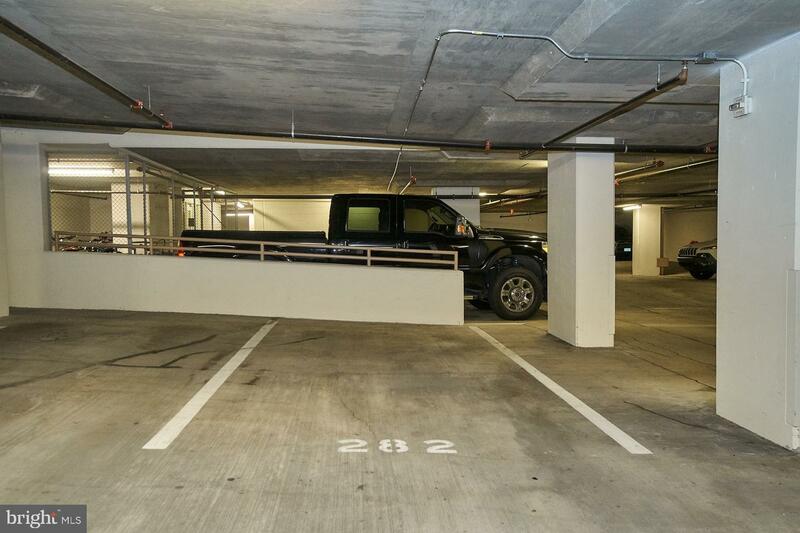 Garage parking space 282 in the garage. 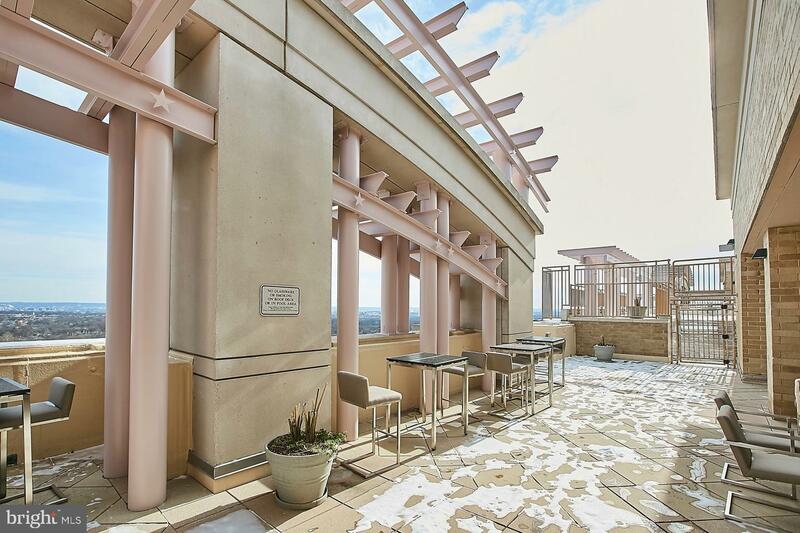 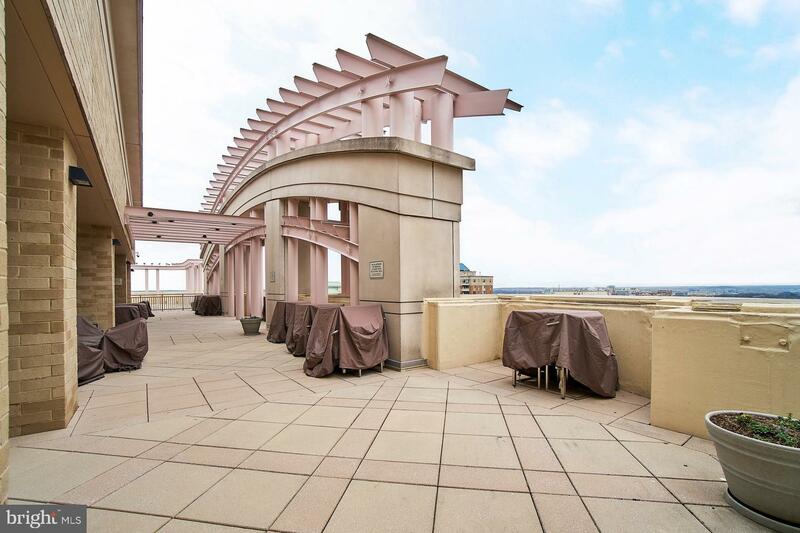 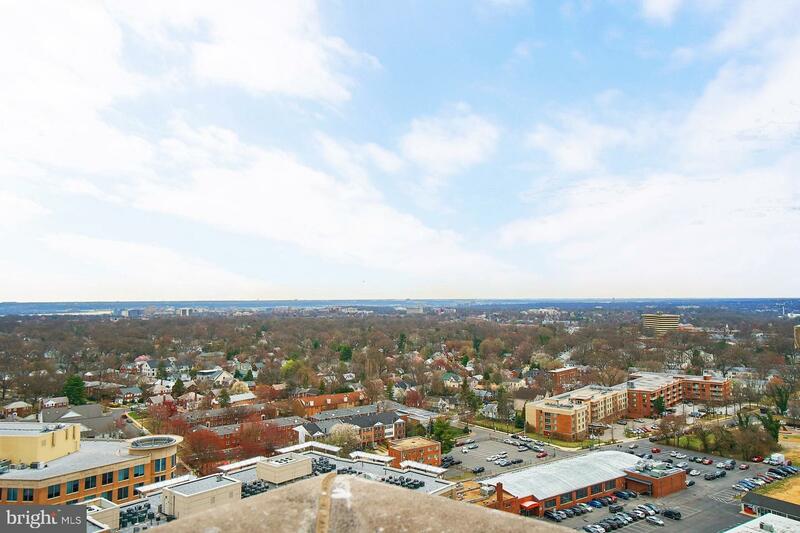 The roof top boasts amazing Monument views, great for 4th of July fireworks. 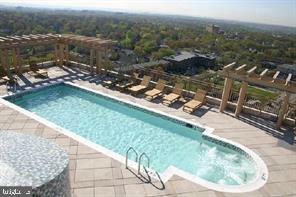 Roof top pool and gym, and on the main level a party room that opens to outdoor space with seating and BBQ grills. 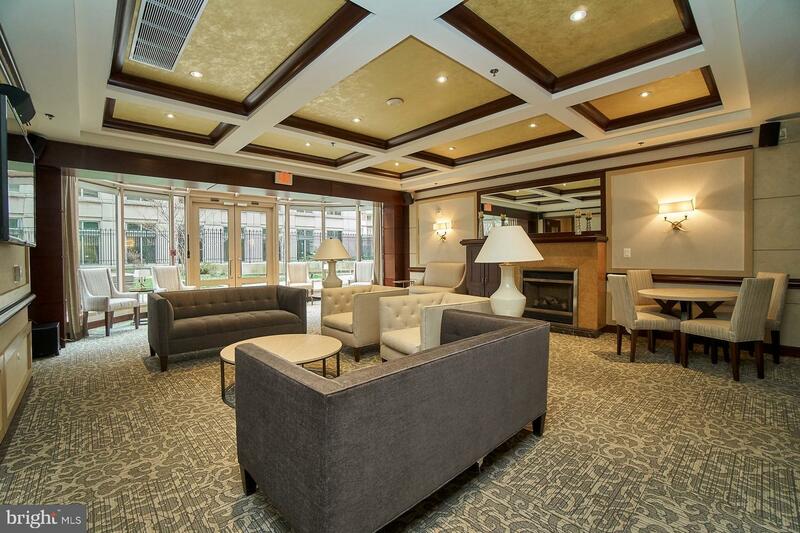 The Residences at Liberty Center has a 24 hour front desk. 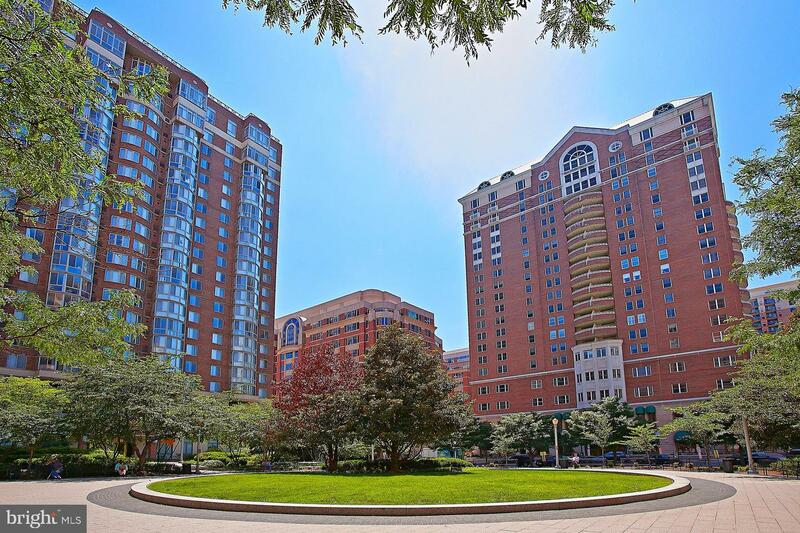 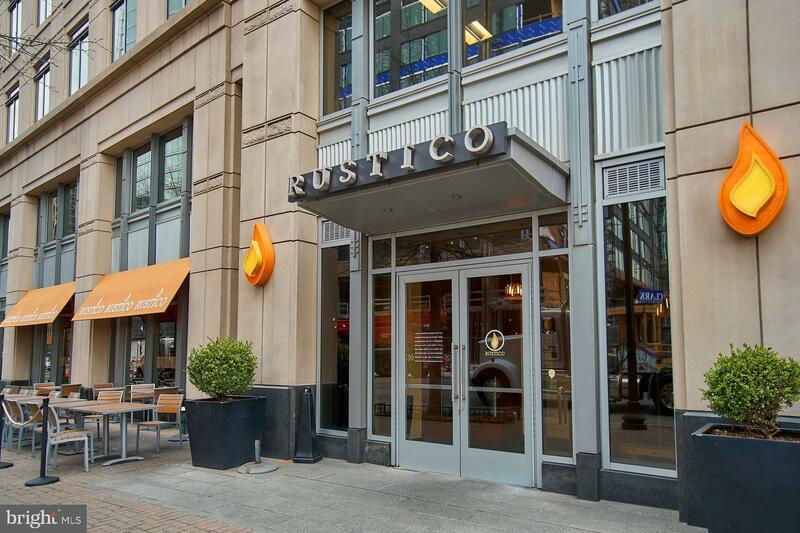 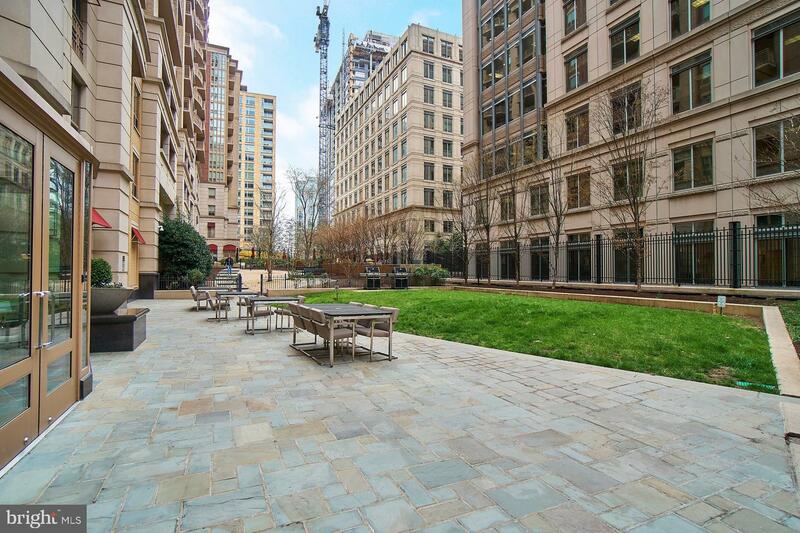 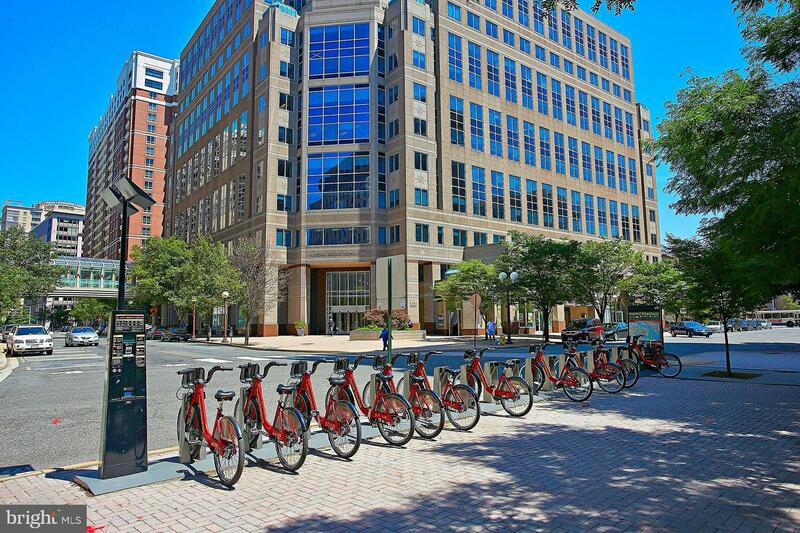  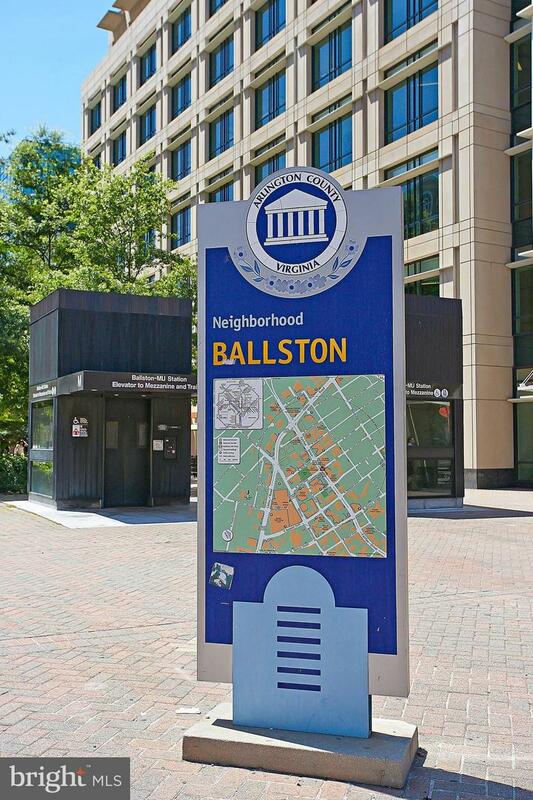 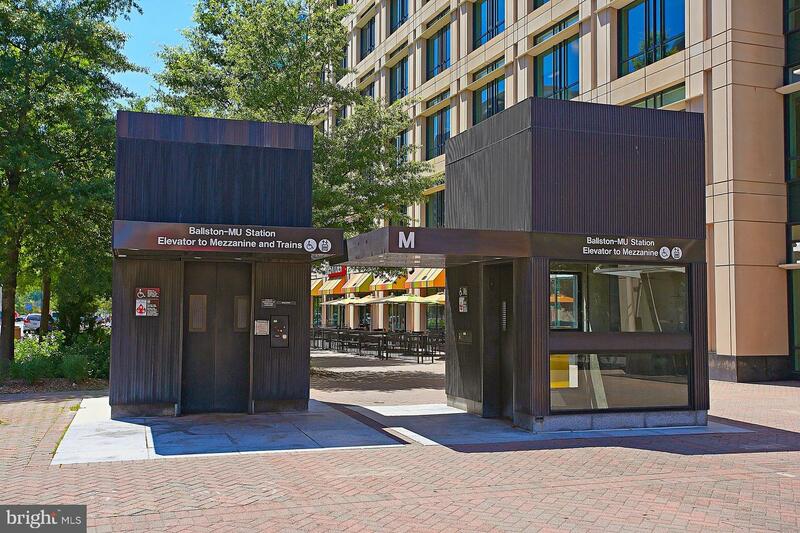 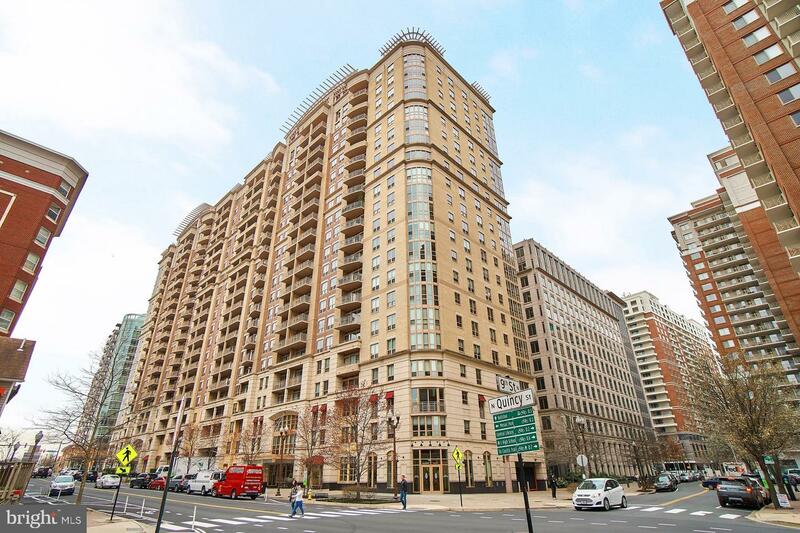 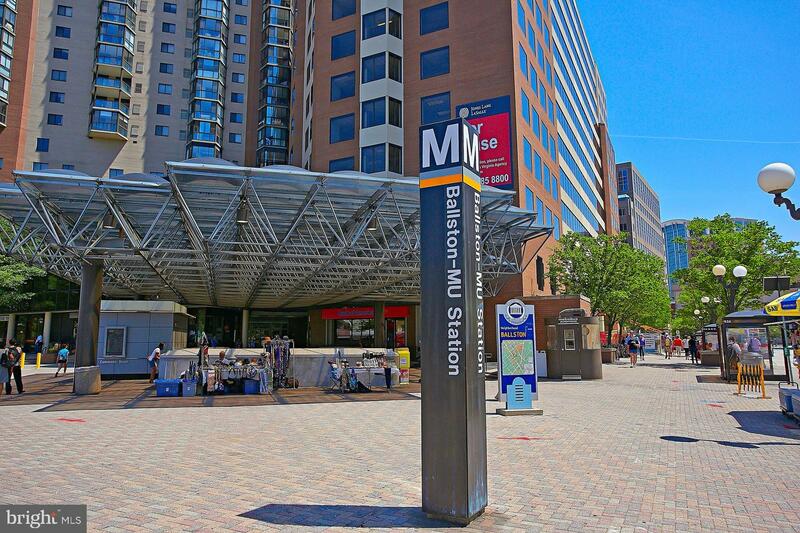  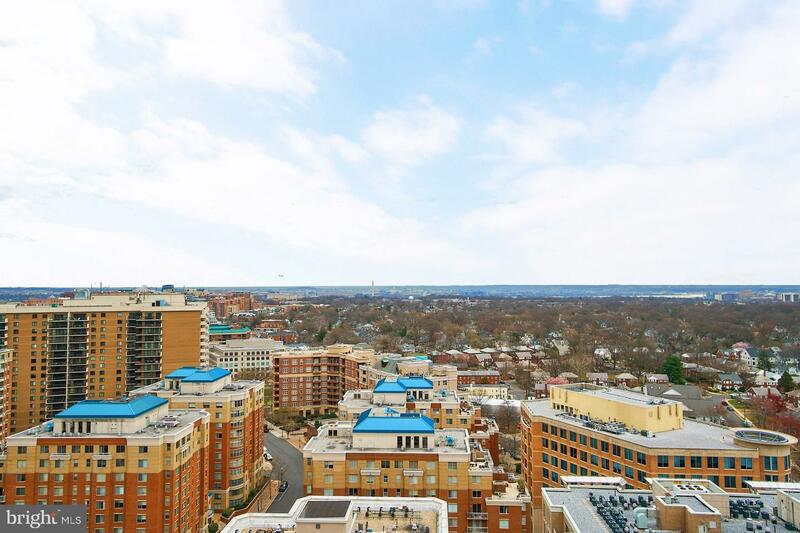 Located between the Ballston and Virginia Square metros, and next to shopping, restaurants, and the New Ballston Quarter with movie theater and Ice rink. 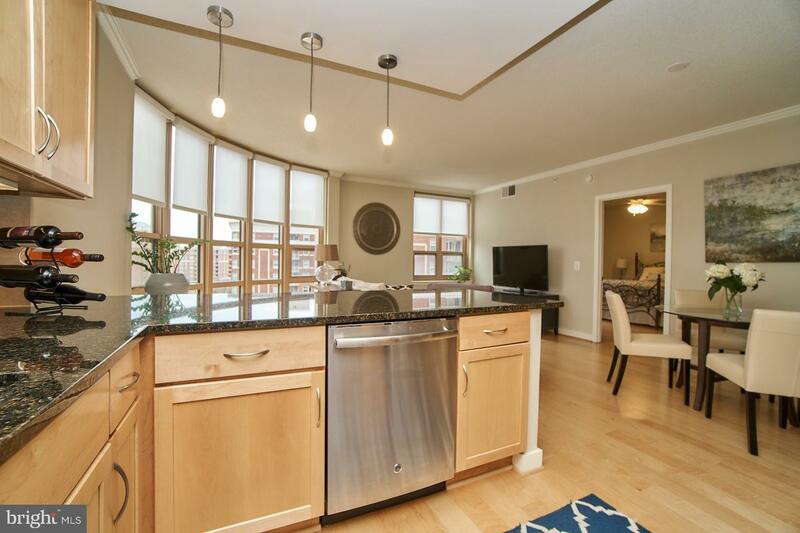 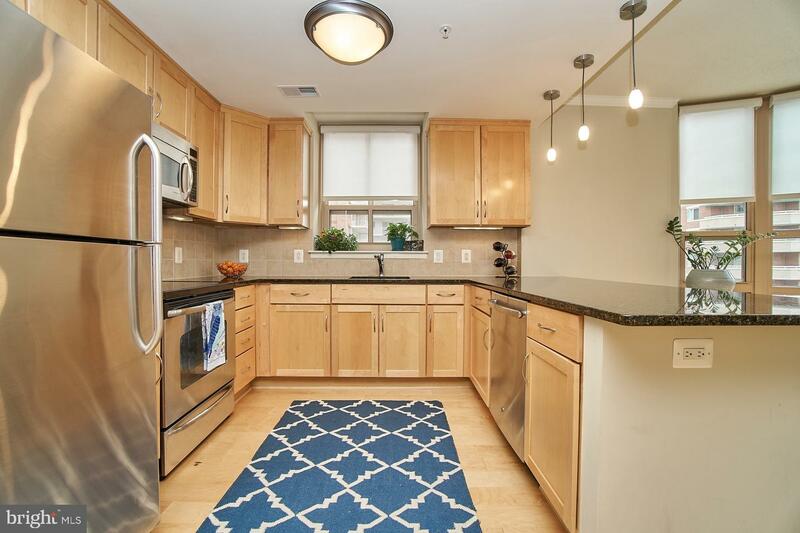 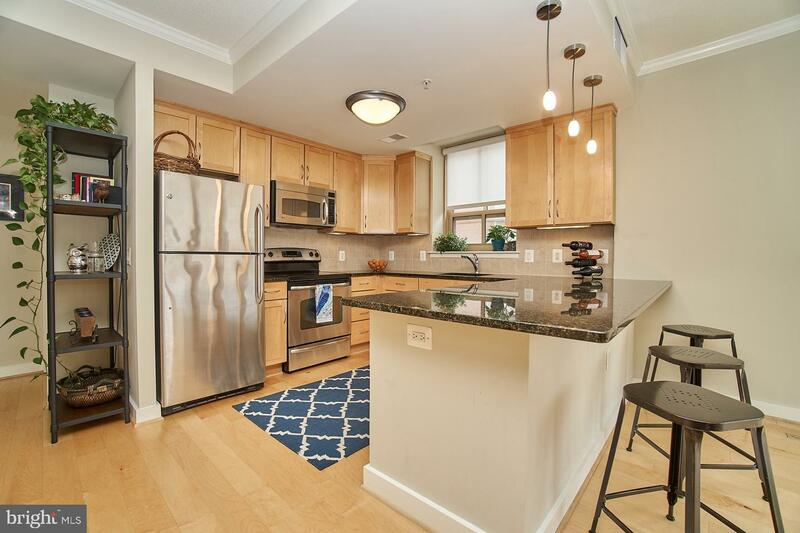 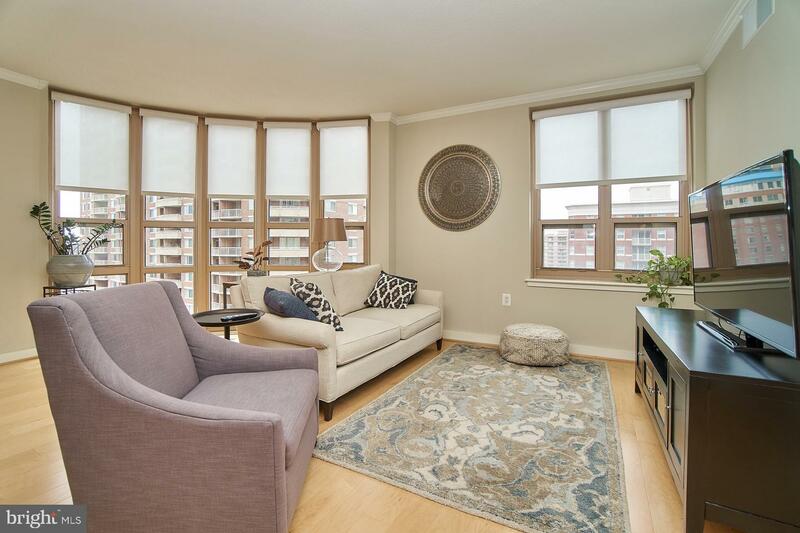 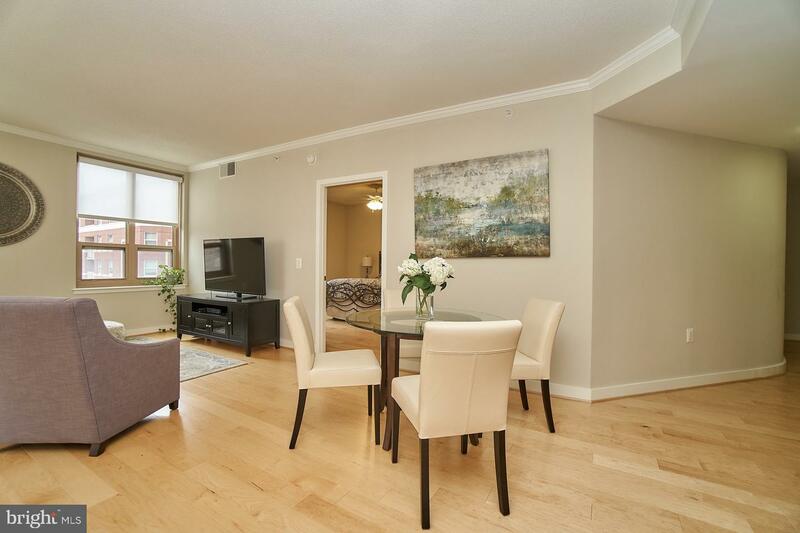 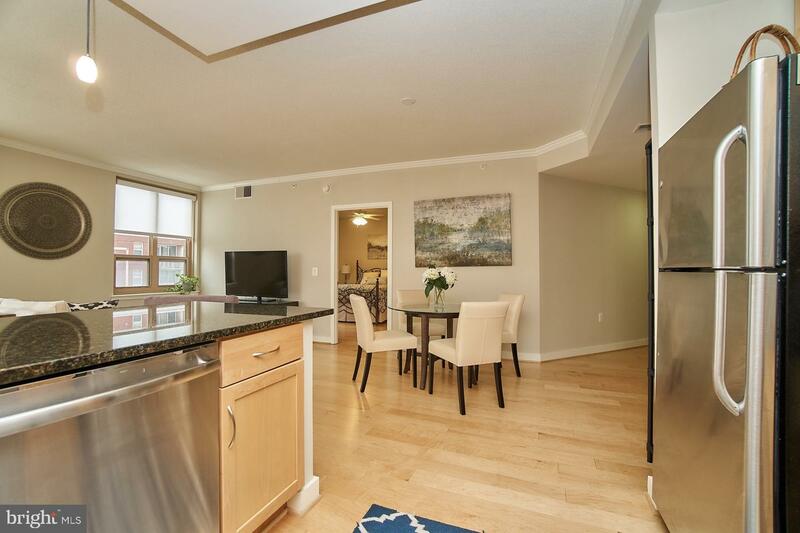 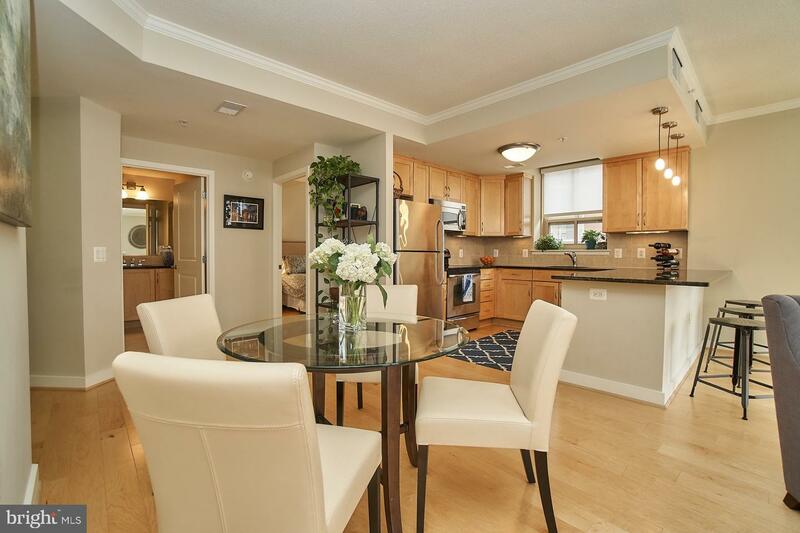 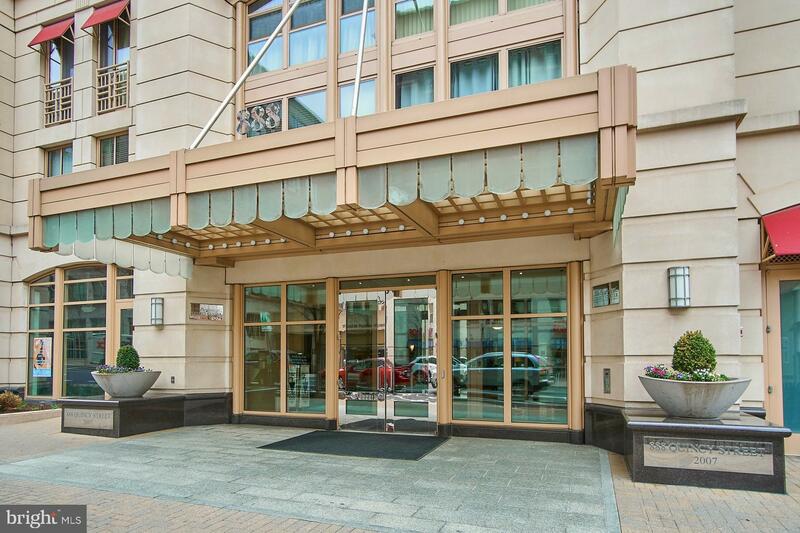 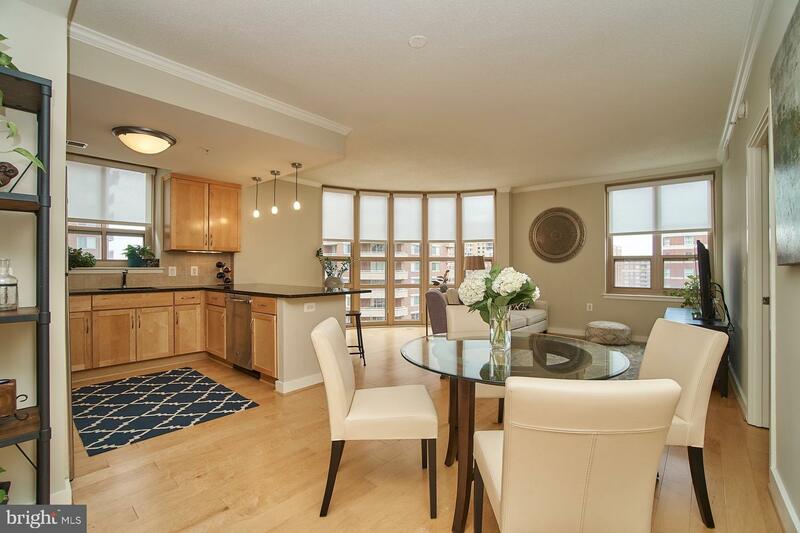 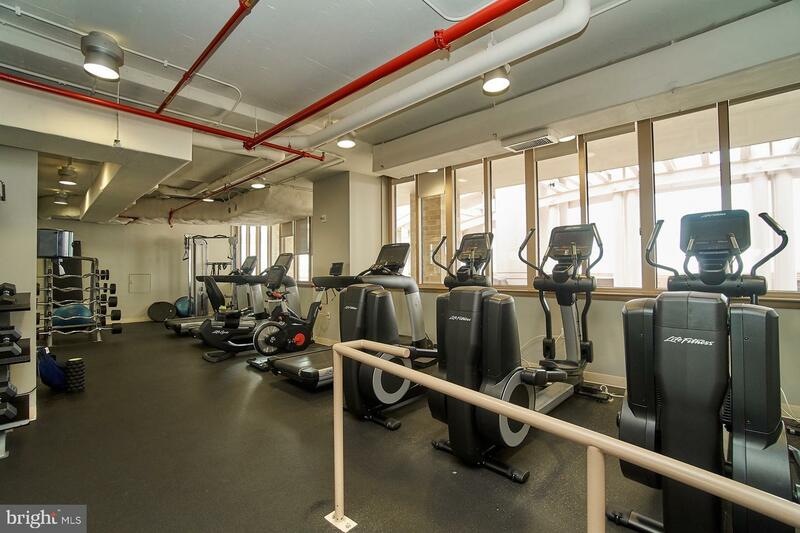 Easy access to I66, DC, Alexandria, Tysons , and National Landing.